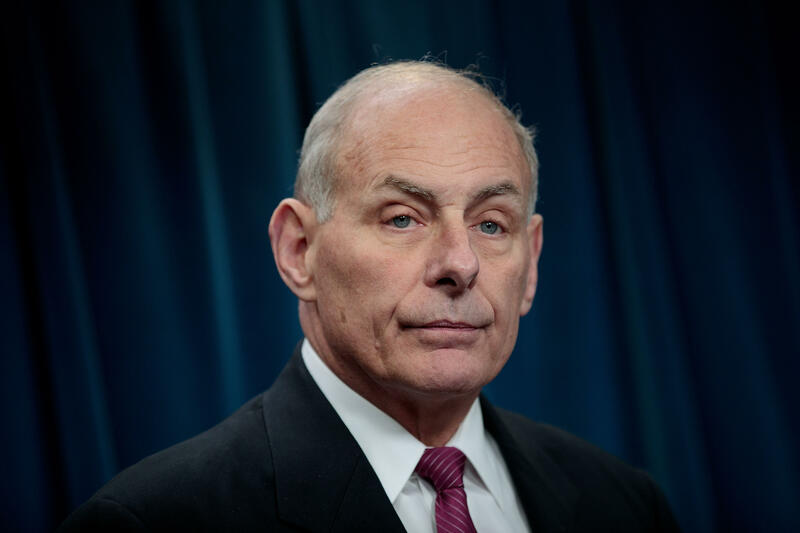 Kelly shreds teacher: "Go to hell"
President Trump's Chief of Staff John Kelly had some tough words for a teacher caught on video bashing military service members in a high school classroom. "Well, I think the guy ought to go to hell," Kelly told Fox News Radio on Wednesday after hearing audio from a video posted online last week of a California teacher calling members of the military "the lowest of our low." Gregory Salcido appeared to go on a profanity-laced rant about the military in a video captured by a student at El Rancho High School in Pico Rivera. Salcido told the classroom that members of the military are "not talented people." "Think about the people you know who are over there. You're freaking stupid Uncle Louie or whatever. They're dumb s***s. They're not high-level thinkers, they're not academic people, they're not intellectual people," he said. While the video does not show Salcido's face, the New York Post reports that his school district confirmed he made the remarks during class. CBS' Los Angeles reports that Salcido has since been removed from all committees on the local city council board over his remarks and that an investigation by the local school district is underway. Kelly told Fox that he hopes Salcido "enjoys the liberties and the lifestyle that we have fought for." The former Marine Corps general is a staunch advocate for the military, notably coming to the president's defense when a member of Congress said she had listened in on a phone conversation between Mr. Trump and a widow of a service member killed overseas where the president allegedly made insensitive remarks.